I have the drive to be the best athlete I can be. It is my goal to pass along the knowledge I have gained from my collegiate and professional running career to those of all ages and ability levels through the Personal Training offering below. Thank you for supporting my dreams. Ryan was born, raised, lived, and educated in North Carolina until the age of 23. Born in Raleigh, he attended Hickory H.S. in Hickory, NC prior to beginning his career at NC State, where he earned a degree in Sport Management. Whle with the Wolfpack, Ryan was a 7-time All-American on the track and a 3-time All-American in cross country. He now resides in Portland, OR and trains with the elite Jerry Schumacher training group. Ryan cites Coach Geiger (NC State) as the most influential person to his athletic achievements, noting that Geiger recruited him from high school and believed in him from the beginning. Ryan also credits his parents for instilling the care and toughness for his teammates, and attitude and dedication toward his sporting endeavors. Ryan's competitive spirit is evident in his race style, sitting back and relaxing at the beginning of the race and saving for a huge kick. As Ryan says, "Sometimes it works, sometimes it doesn't, but it is always fun." In his first year as a pro, he suprised everyone by making the 2013 World Championship team. 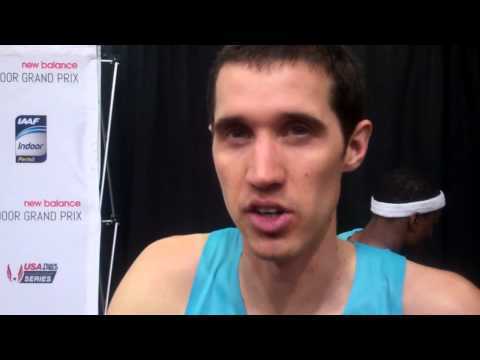 In 2015, Ryan pulled away from the field at the USA Outdoor Championships to take the victory in the 5000 meters, and in 2016, after taking gold in a thrilling USA Indoor Championships 3k, Ryan brought home the silver medal in the event from the World Indoor Championships. Off the track, Ryan is a huge sports fan, cheering on the NC State Wolfpack, Carolina Panthers, and Charlotte Honets at live events and anytime he can catch them on TV. He enjoys spending his freetime with his long-time girlfriend and making those around him laugh. In 2012, Ryan applied his talents to coaching the boys cross country team at Athens Drive High School in Raleigh, NC.